What do I need to bring me true happiness? Do I need a list of 45 joyous things to do, do I need cupcakes, chocolates and flowers? Or is it a case of what I have always known deep down (and I suspect you also do too); without the Smurfs in my life, I can never find true happiness. But, if you hate small blue people with pointy hats (it's OK if you do - we're not judging you), my sweetness, light and everything bright tips may bring you eternal happiness. Read on for a life filled with pure joy - and chocolate. So far, this Spring we’ve had the Easter holidays, Mother’s Day and a variety of big national sporting events such as the Oxbridge Boat Race and the Grand National. This years, the UN and Unicef joined forces with The Smurfs (seems like a natural choice to me) to promote the Sustainable Development Goals global plan of action claiming that, if all 17 goals are achieved, it will lead to the well-being of all people. For the Smurfs’ part, they said that: ‘Sure, Smurfs like eating big Smurfberry pies and singing happy songs, but it’s only fun when everyone in Smurf village has enough to eat and no worries.’ Hear, hear, you little blue (as in skin colour, rather than mood) creatures! Having checked with my mate Google, it seems that organisations have interpreted this in different ways. For instance, cagesideseats.com went with the headline: ‘It’s International Happiness Day, so let’s talk about our happy wrestling moments,’ whereas passengers at Dubai International airport were greeted with cupcakes, chocolates and flowers. The 188-page World Happiness Report for 2017 was released by a group of independent experts, stating that Norway is the happiest of the 155 ranked countries, the UK is the 19th most cheery and the Central African Republic is the least happy. As a highly competitive person I thought that, focusing purely on quantity rather than quality you understand, if I could just get to 16 ‘top tips’ and beat Camden Living, I would be jolly happy. So, here goes on my Sweetness and Light and Everything Bright/Easter/Spring related ‘How to be happy and not too miserable’ list. The positive chemical effect of chocolate is scientifically proven. Neurotransmitters, such as phenylethlyamine and serotonin, naturally make us more alert and lift our mood so, with an abundance of chocolate eggs on the shelves, dig in to be happy. If chocolate is not your thing, but you believe a little bit of confectionary does you and your mental health, good why not buy a packet of Sweethearts to eat with your sweetheart, friend or significant other. If you haven't had these (or Love Hearts) for a while, you’ll remember that they have messages such as ‘Be Mine’, ‘Kiss Me’ and ‘Miss You’. Just be aware though, that they now have a more modern approach and include messages such as ‘Swipe right’ and ‘Skype me’. You could be happily munching away when your dyslexic companion reads, muddles, and acts upon the order, ‘Swipe me’ and that could be the end of a beautiful friendship. As we know, sweetness doesn't just come in Cadbury’s and Maynards’ wrappers. If you decide that your well-being would benefit from a country stroll or a visit to a farm, to see the frolicking lambs and teeny-weeny chicks, then please do make sure that you’ve stuffed your face full of chocolate or goodies before you go. I would hate to think of your merry mood plummeting as you gaze upon the farmyard animals’ woolly exteriors, imagining them unwrapped and in a roasting dish, accompanied by a tangy mint sauce. As well as ‘sweetness’ there is, of course, ’suite-ness’. We all know that, over the Easter period, at least one major furniture retailer will be bombarding every commercial break with their three-piece suite offers. If you think a spring clean and living room make-over are just what you need to give you a boost then go for it. And finally, for the sweetness related tips, may I suggest a trip to Sweet(Loch)Ness. It may be that you are an adventurer by nature and ‘discovering’ is your bag. Just imagine, the bracing Scottish Highland air, the rippling of the Loch and perhaps, just perhaps, a blurry long necked object in the distance. What could possibly lift your spirits more? My only reservation would be, if you are currently living south of the border, you should make sure that, during your trip, the Scots don't vote for independence and hold any English folk prisoner in one of their many castles. Then you’ll never return to your new DFS sofa, your roast lamb dinner and your creme eggs. My first tip in the ‘Light’ section would be to lighten up your clothes. For months now we have been wearing layers, ‘playground coats’ and bobble hats. I, for one, have a winter wardrobe neck and backache! So, it’s time to vacuum bag your woolly pullies and roll out the linen. As well as lightening up your clothes, you might feel the time is right to lighten up your drinks. You may be like me, and have a winter warming drink (I prefer Guinness to hot chocolate) and a summery tipple (a chilled rose wine perhaps). I’m not advocating that getting plastered will improve your happiness or well-being but what could be better than enjoying an evening drink with friends in a beer garden? 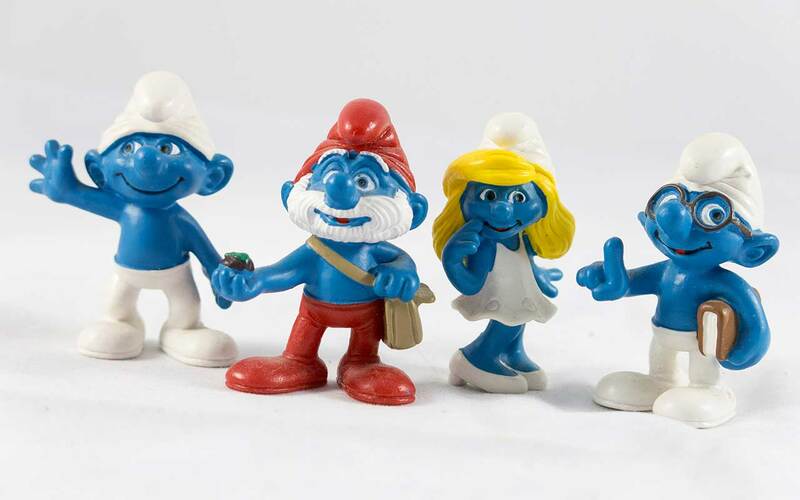 Mind you, if you've gone for the linen too early, you could be going home bluer than the Smurfs, so please dress and drink responsibly. It is nearly time to light up/ fire up the barbie. As your own garden is nearer to the cardies and socks than the pub’s garden, maybe stay at home and enjoy those first mouthfuls of chargrilled meat. Yummy! Go careful though, there are many cute little farmyard animals who are keen to seek their revenge by giving you a bout of salmonella, so please cook responsibly too. It’s time to say, ‘Lights, camera, action!’ I’m wondering how many photos you have taken since that one of Granny at Christmas, asleep, with her head in the punch bowl? For many, family and friends make us happy and, when they’re not around (either temporarily or more permanently) pictures of them can put a smile on our face. Bearing in mind that the weather is still mixed (we talked about this earlier remember) there will be quite a few people in the next few weeks sporting the reddish hue of intermittent wind chill and sun burn. Taking their photo at a time like this is not likely to endear you to them. Be aware that, another scientifically proven positive impact on well-being is the benefit of good company and stimulating conversation. So, when you are sitting in an indeterminate garden, make sure that you surround yourself with bright young things with bright futures. Just to be clear, I do expect these to be people you know and am not advocating that you visit other pub garden tables to find such beings. That could get you in all sorts of bother and I don't believe that prisons are naturally happy places. When you think of the word ‘bright’ you naturally think of ‘bright eyes’ - well I did. As well as lambs and chicks, baby bunnies have got to lift your spirits. Unlike Art Garfunkel’s bright eyes, which were burning like fire, you would ideally find healthy rabbits and not the ones with myxomatosis. Which leads me to further sage advice; whilst romping in the countryside, I wouldn't recommend that you cast off your shoes for sandals just yet. Invariably that would mean having to swap back again and developing your own form of mixy-my-toeses. This is a condition, I believe, which renders your feet healthy-looking, then bluer than papa Smurf himself, then healthy again. Speaking of bright eyes, why not spend the day watching one of the season’s sporting events. There’s the thrilling finale of the domestic football league, the F1 season, horse racing, rugby and if boats are thing, the start of the regatta calendar. Staying with the watery theme, this top tip may only be for a select few readers. Statistics show that an average child laughs 300 to 500 times a day, whereas adults enjoy a good guffaw or a slight chuckle only 15 times a day. Obviously, laughter is good for us and, if we aren't feeling so good, it is apparently the best medicine. In April, we know that the weather changes drastically between bright sunshine and heavy showers. I would suggest that you use the calm after a storm to find a viewing place opposite a bus stop, as I don't know of many things funnier than seeing a queue of people drenched by a tidal wave of storm water as the bus goes sailing past. Nope? Just me then! For number sixteen (read it and weep Camden Living), I would like to remind regular readers that they should be following Carol Dweck’s advice to develop a growth mindset. This means doing away with fixed mindset terms such as ‘clever’ ‘bright’ and ‘can’t’ and understanding that we can all improve in all aspects of our lives. Comparing ourselves to friends and neighbours is one of the things that makes people the most miserable. Be content, enjoy all my suggestions above and, if you aren't happy, do something about it because you choose to, not to keep up with others.